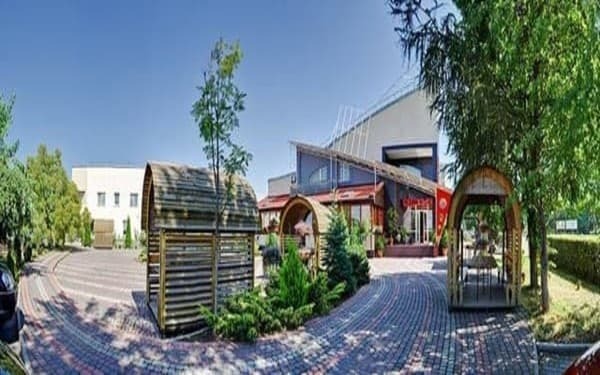 Hotel "Oksana" is located in a quiet area of ​​Tyachiv city not far from the center, 10 minutes drive from the bus station and the railway station. 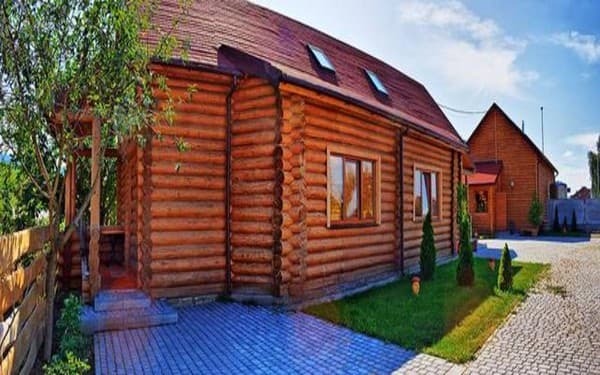 The hotel offers modern rooms of different categories: apartments, suites, "standard" and wooden houses. 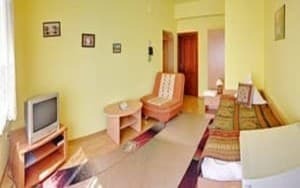 The rooms of the Oksana Hotel are equipped with comfortable furniture, satellite TV, mini-bar, Internet access line, air conditioning, and own bathroom. 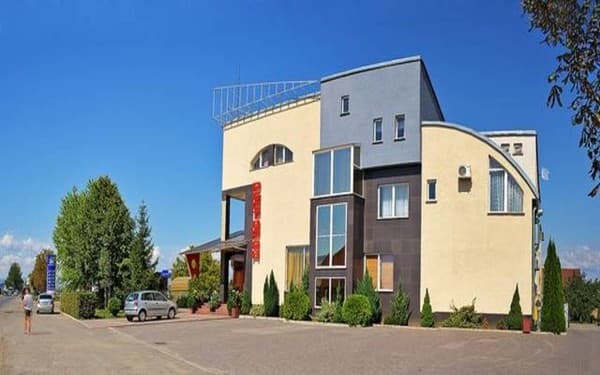 The hotel has a restaurant with 80 seats, where they prepare dishes from Transcarpathian, Hungarian and Slovak cuisines, as well as a cocktail bar with a wide selection of wines, cocktails and coffee. The hotel offers a conference hall, laundry, parking, a tour desk, as well as a sauna, swimming pool, jacuzzi. 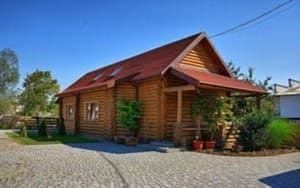 Distance to Uzhgorod - 135 km, to the sanatorium "Shayan" - 20 minutes drive. Description of the room: One room, equipped with a double bed. Description of the room: One room is equipped with three single beds (or a double and a single bed). 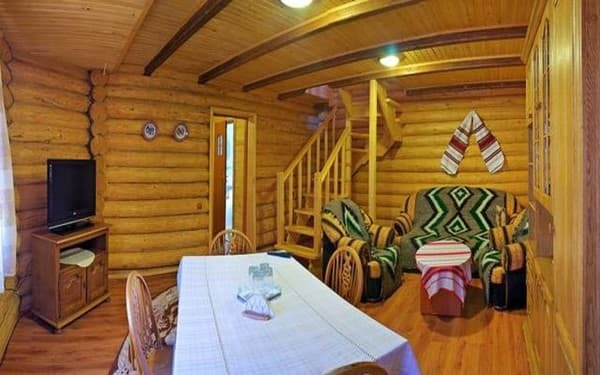 Description of the room: Spacious 4-bed cottage, consisting of a hall, two bedrooms and a bathroom. The cottage has everything you need for a comfortable stay. Description of the room: Two-room suite, designed for 4 people. Жили дві ночі у комплексі Оксана, що у Тячево, все сподобалося, чисто, великий сімейний номер з трьома кімнатами, кухнею, ванною кімнатою, все чисте, нове та охайне, вид на гори. Гарна зелена територія, альтанки де можна посидіти сім'єю або з друзями. Приємний персонал, смачно. Обов'язково зупинимося ще коли будемо знову подорожувати Закарпаттям. On the territory of the hotel there is an own restaurant with 80 seats, where they prepare dishes from Transcarpathian, Hungarian and Slovak cuisines, as well as a cocktail bar with a wide selection of wines, cocktails and coffee. 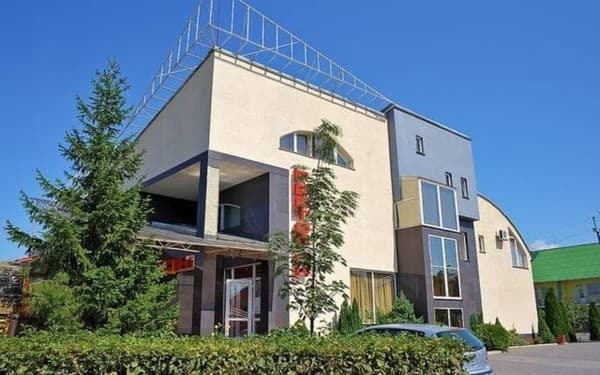 Hotel "Oksana" is located in a quiet area of ​​Tyachiv city not far from the center, 5 minutes drive from the bus station and the railway station. The distance to Uzhhorod is 135 km, to the sanatorium "Shayan" - 20 minutes drive. By train to Mukachevo, then by shuttle bus to Tyachyov.